UDU began in 2006, and remains committed toward the individual, ensuring every tour is of the highest standard. Through the deliverance outstanding experiences, and by supporting environmentally sustainable practices, UDU aims to establish the Royal National Park as Sydney’s best destination for nature-based day tours. UDU= Understand Down Under. 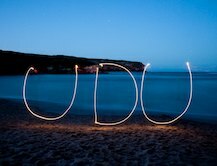 Put simply, an UDU tour will help you to Understand this great country of ours that we affectionately call Down Under. Although UDU mainly offers day tours from Sydney to the Royal National Park, it is simply a beautiful, local example used to portray a range of themes found throughout Australia, including Aboriginal culture, European history, plants, wildlife and geology. 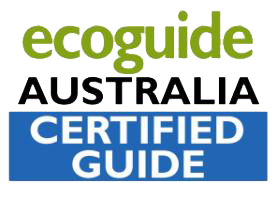 Understand Down Under has been thoroughly designed with a clear mission: to offer the best quality, safe eco-experiences that provide a superior level of understanding, enjoyment, conservation and satisfaction. UDU does its best to tailor every trip according to the individuals that make up each unique group. UDU believes that greater understanding of the natural world and the cultures of those within it will help make a happier and healthier earth. UDU commenced operation in early 2007, after over three years of planning. Its main focus was providing an experience of a lifetime, and everyone who has been on an UDU tour will tell you that’s exactly what it is. UDUs first eco tours where it’s guided bushwalks, a challenging adventure through wilderness and remote beaches. UDU is now offering more accessible tour options, so people of all ages and abilities can understand the Royal National Parks hidden beauty. UDU wants to put the Royal National Park on the map, so that it gets the recognition it deserves. Despite being the oldest National Park in Australia, in many ways it’s very new, so UDU plans to ensure that it maintains its unspoilt charm. This is why UDU does its best to be eco-friendly, and to involve local communities as much as possible. UDU hopes that the Royal National Park will become Sydney’s most cherished day tour destination.